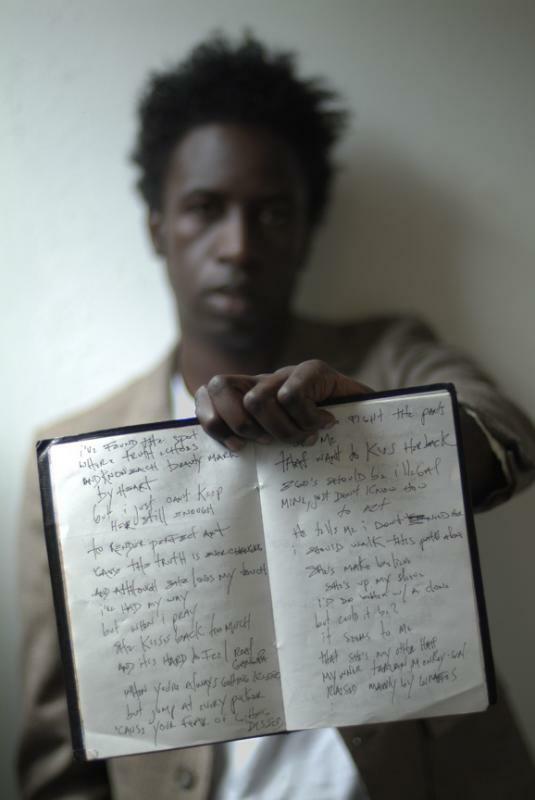 My favorite poet plus a huge an inspiration to the poetic community. Hands down the most talented modern poet that I’ve probably ever heard. 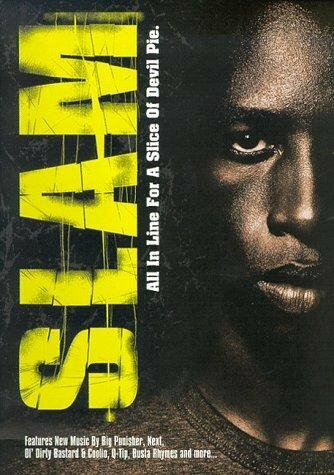 In 1998 he starred in the movie “Slam,” a movie about a young poet named Ray that is wrongfully accused of a crime and sent to jail. The movie is low-budget but has a bunch of great messages (like a lot of the low-budget 90’s black movies) and there are LOTS of good poems to be heard as well. He has a plethora of books, cd’s and movie and television appearances under his belt on top of that! He writes acts sings (to an extent) and musician. He does a lot with Rock and Hip-hop as well… however…. I just have a few of his books. 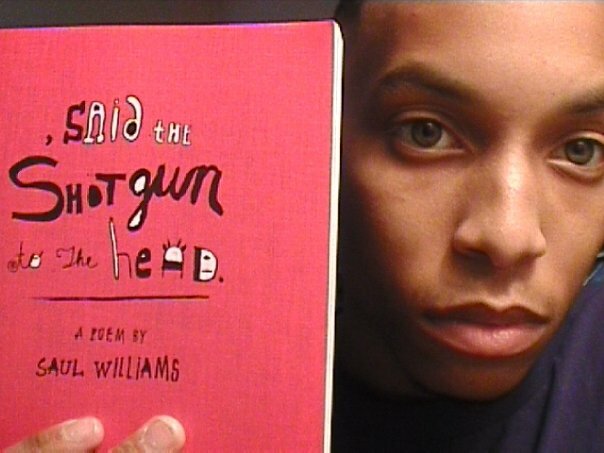 a super young me holding the epic book "said the shotgun to the head"
As a poet I don’t know what I would do without poetic genius like Saul… he has wordplay content timing… everything, if you are into REAL poetry check him out you wont be disappointed.